State Department spokesperson Heather Nauert has brushed off a question from RT about the withdrawal of its Congress credentials, and whether this contradicts her past vow that registration as a foreign agent would not impede the broadcaster's ability to report. 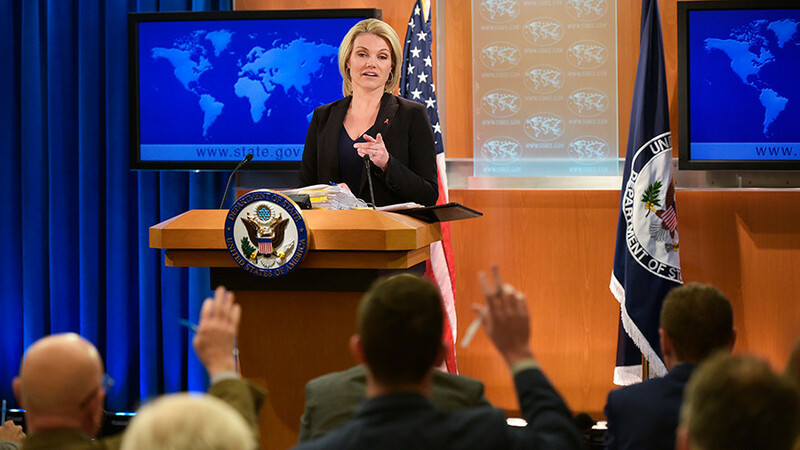 Nauert fell short of providing a clear answer to RT’s Sameera Khan on whether the State Department still stands by its word that forcing RT America to comply with the Foreign Agents Registration Act (FARA) was a formality that would not create hurdles for RT’s work in the US. “I think that press credentials might have been revoked by Congress, and not necessarily the members of Congress but rather the Association of Reporters that handles who gets to come and cover Congress,” Nauert said, deflecting the question. Instead, she played the 'Russia card', dubbing the RT correspondent a “representative of the Russian government” whose mere presence at the briefing should serve as sufficient proof of Washington’s utmost respect for the freedom of press. “They can get Russian 'news,' if you will,” she generously conceded – complete with air quotes. Twitchy quote-fingers aren't a new thing for Nauert – she used the same snide gesture back in October, when assuring RT that registering under FARA wouldn't “impact or affect the ability of them to 'report' news and information.” Again, the air quotes. 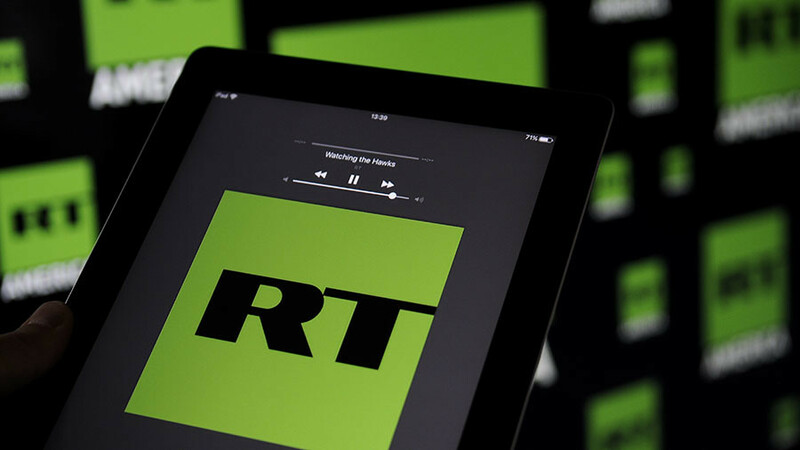 The following month, RT America’s ‘foreign agent’ status was cited by the US congressional press office as it stripped RT of its Capitol Hill accreditation. The State Department spokesperson is not the first US official to (pretend) not to see a connection between the two events. 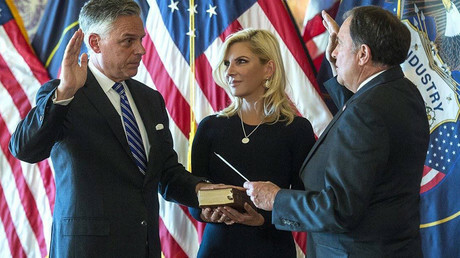 Last week, US Ambassador to Russia Jon Huntsman told Kommersant FM radio that he didn’t believe that the stripping of credentials is a consequence of FARA, but rather a result of the vote on the sanctions against Russia that left a deep imprint on Congress. 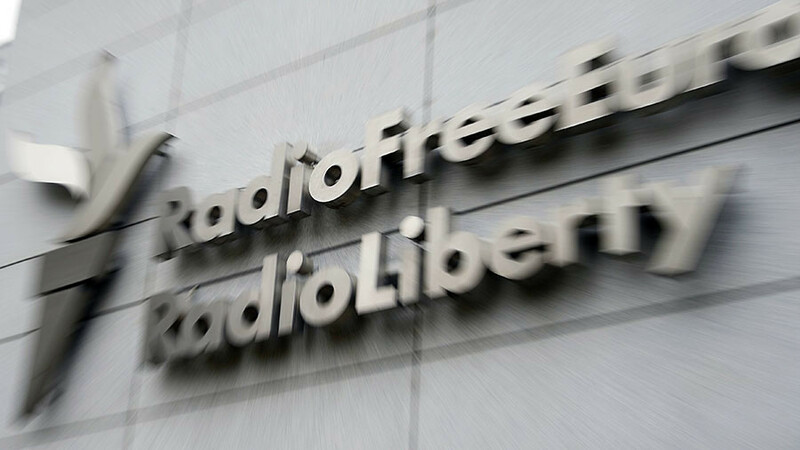 In response to the crackdown on the Russian media in the US, several US media outlets, including Voice of America and Radio Liberty, have been registered as foreign agents in Russia under a reciprocal law proposed and adopted by the State Duma, Russia’s lower house of parliament. 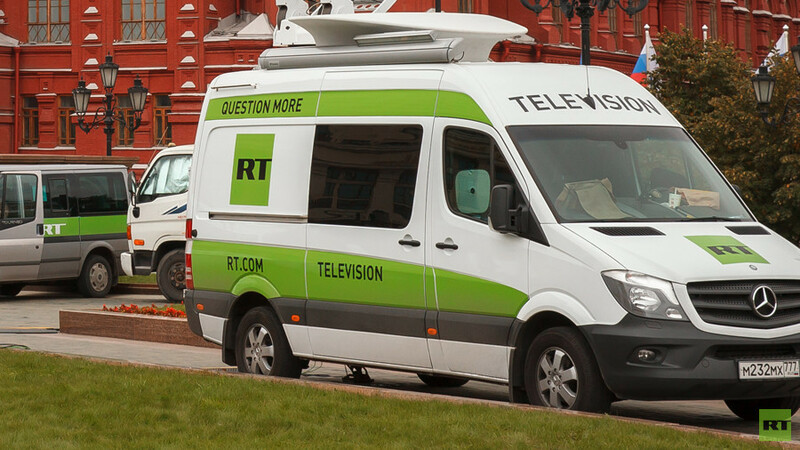 Dave Lindorff, investigative journalist and founder of the news website This Can’t Be Happening, believes that evicting RT from the US Congress serves only to further demonize Russia, and that Russia will likely remain the only victim. 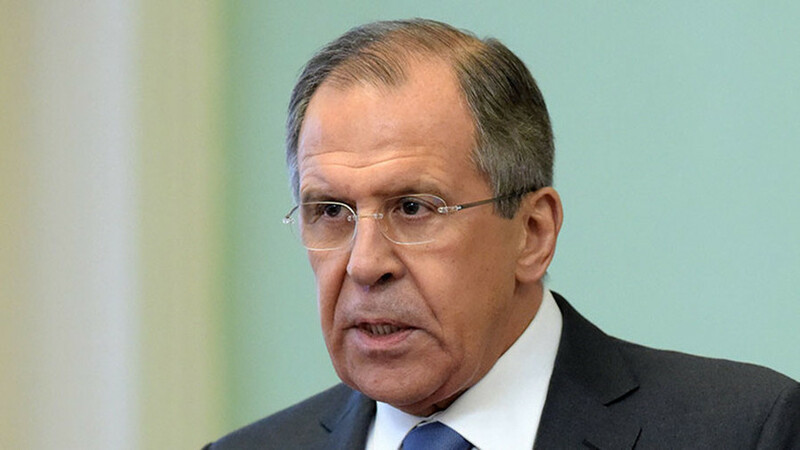 “I think this is all focused on demonizing Russia and it has to do with the military-industrial complex wanting to have an enemy and people getting tired of the war on terror, so why not to have the revival of a sort of Cold War. That’s a great way to get money for weapons systems, like, really expensive ones,” Lindorff said. 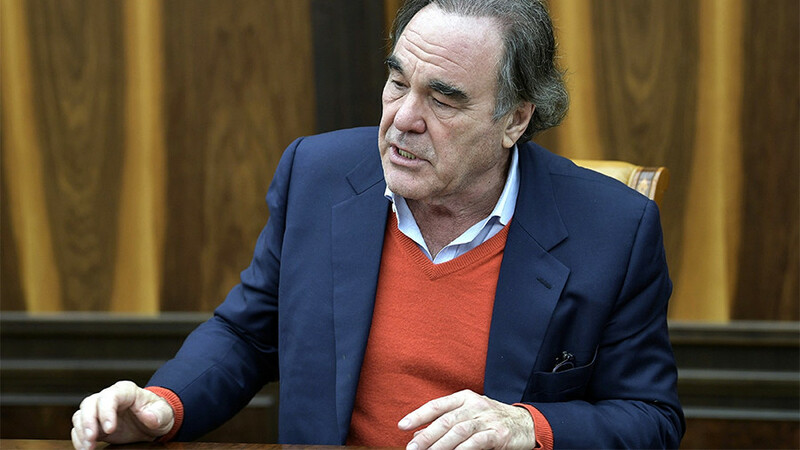 The continuing anti-Russian hysteria has also been fueled by the Democratic leadership, which is still “trying steer people away from the idea that they blew away the election by pushing the nomination of Hillary Clinton who then blew the elections,” Lindorff argued.